﻿ It’s become a longstanding platitude that the classic bands won’t be around forever, no matter how long they cling on for dear life. Often, it gets to the point where most older acts, especially in metal, simply become part of the furniture; they may continue to release new material, though more often than not it represents a shadow of what their classics brought to the table, and largely it’s their legacy that keeps them afloat. That was exactly the position that Judas Priest found themselves in for a while, with 1990’s Painkiller representing another high point, only to be yanked away on its 1997 follow-up Jugulator, seeing the departure of iconic vocalist Rob Halford and the introduction of his less-iconic replacement Tim “Ripper” Owens. Since then, Judas Priest have never really been able to recover; Halford’s return on 2005’s Angel Of Retribution was arguably the closest, but its pair of successors Nostradamus and Redeemer Of Souls never even came close to capturing the excitement and power of albums that are considered metal classics through and through. Of course, there’s always the very real possibility of Judas Priest’s almost fifty years as a band catching up to them, hinting at the permanent slowdown that often comes with bands like this approaching their twilight years. But if they were the expectations, Firepower smashes right through them. That name’s not for nothing either; as a contemporarily-produced but classic-feeling metal album that’s as no-frills as is necessary, this is easily Judas Priest’s most electric and, yes, fiery album since Painkiller. What’s even more encouraging is that Judas Priest can achieve this while keeping within their own reasonable parameters. It’d be foolish to expect the same breakneck velocity and Halford’s air-rending shriks five decades and eighteen albums in, but even in relatively mellowing with age, Firepower still runs with surprising gait. Tracks like Lightning Strike and Flame Thrower have a solid gallop that’s highlighted even more by an incredibly crisp production job, and even when the pace is brought down on Never The Heroes and Rising From Ruins, there’s still some remarkable heft in the ironclad grooves, as opposed to the old man metal that has disappointingly become the norm from this generation of bands. As for Halford himself, he’s unable to hit the glass-shattering register of his prime (made blatantly obvious when he actually tries), but even in his default lower range, there’s a level of imposing power that’s so rare to see in a band who’ve been around this long. Then again, Firepower isn’t particularly novel in its approach. This is meat-and-potatoes heavy metal in its most uncomplicated form, and as such, doesn’t offer much in the way of stimulation beyond retreading paths that couldn’t be further lodged in Judas Priest’s wheelhouse. It’s the sort of album where the enjoyment can be found on a very surface level rather than digging too deeply, but even then at almost an hour long, tracks like Lone Wolf don’t offer a whole lot besides padding out an already stuffed tracklist. But again, that’s not a problem, particularly for a band for whom this should not have as much energy and punch as it does. Even if Firepower mightn’t be at the summit of any year-end lists this year, the fact that Judas Priest have hoisted themselves up from nowhere of importance to making a genuinely vital album is a sight to behold. There’s barely a hint of rust here, not to mention a sound that’s been almost entirely reinvigorated to make for their best album in almost three decades. It’s nothing amazing or groundbreaking, but the fact this is even remotely enjoyable after such a streak of mediocrity is a borderline miracle. More bands should take the Judas Priest approach to late-period releases; perhaps then career inertia wouldn’t be the only factor in determining a classic band. 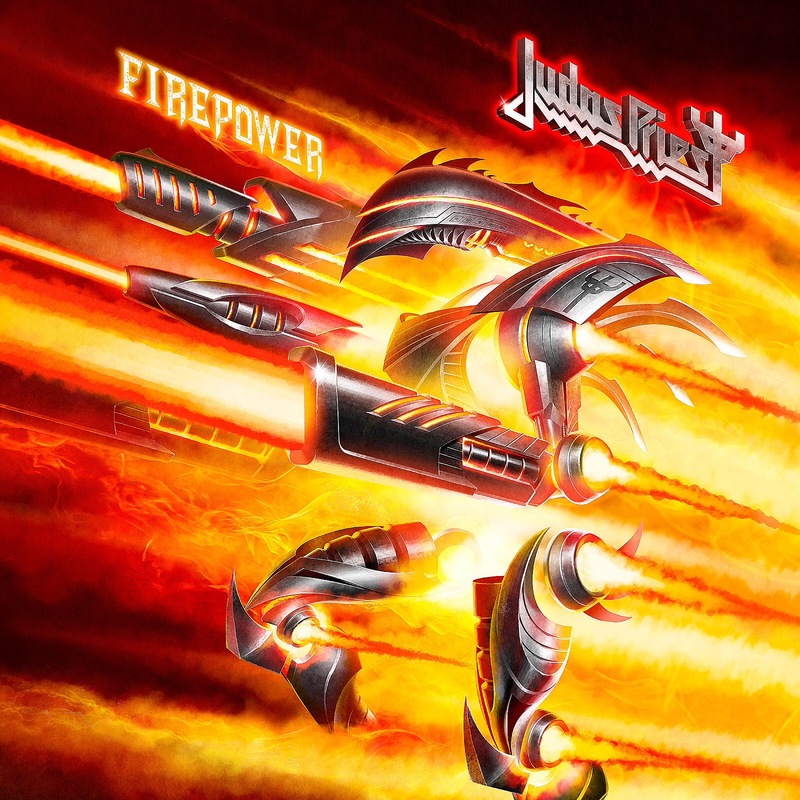 ‘Firepower’ by Judas Priest is out now on Epic Records.